Lindy Tucker is a UFO researcher and experiencer. Over the years she has recorded and collected set of UFO sounds, and these all have an odd metallic beeping quality. They sound a lot like a the call of a saw whet owl and this similarity might make these recordings easily dismissed as noting more than this common bird. But, Lindy makes a forceful argument that these are, in fact, the noise produced by UFOs. Her research is fascinating and her website offers a lot of her research and personal stories. Her site is linked below. Her research is fascinating and her website offers a lot of her research and personal stories. This AUDIO PAGE has an MP3 audio file with a set of these recordings. Of particular interest to me is the very first one in the series, where you can clearly hear the hooting of a great horned owl overlapping with the beeping sounds of the UFO. Here is an excellent article from the MUFON Journal (linked HERE), written by Lindy and published in October of 1994. It is an in depth analysis of the beeping audio recordings. At the right is a very cute saw whet owl. According to the investigation conducted by US Air Force, this is the culprit behind these beeping noises. 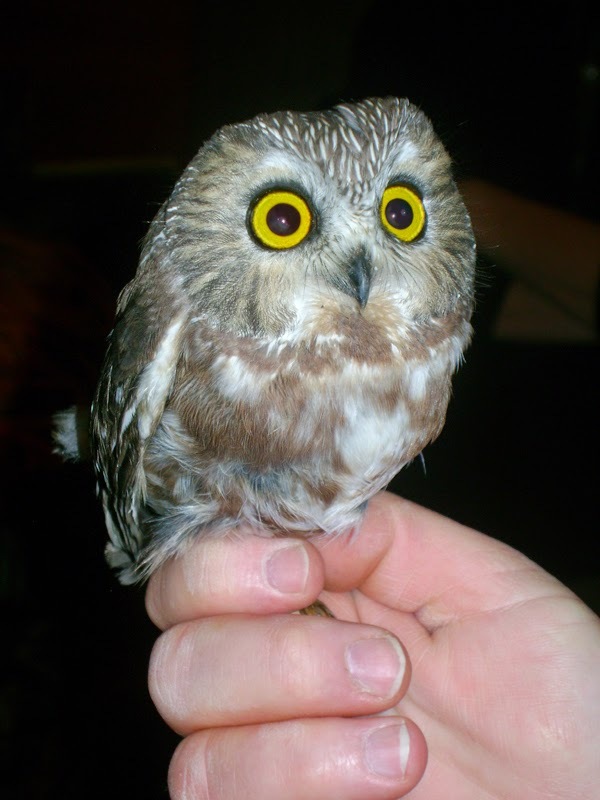 The recorded beeping sounds are quite similar to the call of this owl, but the reporting and analysis by Lindy makes a compelling case that it is something well beyond a little owl. When I listen to the owl and the UFO beeping back-to-back, the owl itself has a flute-like whistling call, while the recordings of the UFOs sound more mechanized. This is my non-scientific take when comparing the two. The analysis documented in this text document (HERE) Which is the same as the MUFON Journal article . This report goes into some depth, and comes to a similar conclusion. The audio of the cop and wildlife officer who fire a shot off and the beeping goes mad was really creepy. This stuff is fascinating. Thank you mike. I have an owl image to send you that is simply stunning! This post just reminded me I hadn't sent it yet!